APC NWC has decleare Babajide Sanwoolu the party flag bearer for the 2019 Lagos state gubernatorial elections. This announcement came after the party disclaim the rejection of the primary elections result. 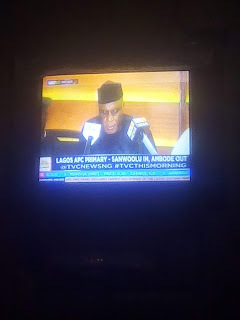 This might be the beginning of a dark democracy not only in Lagos state but in Nigeria as a whole.